There seems to be no end to the simmering rivalry between Samsung and Apple. As soon as Apple announced the release of iPhone 5S, the former wasted no time in announcing its new venture; Samsung Galaxy S4. 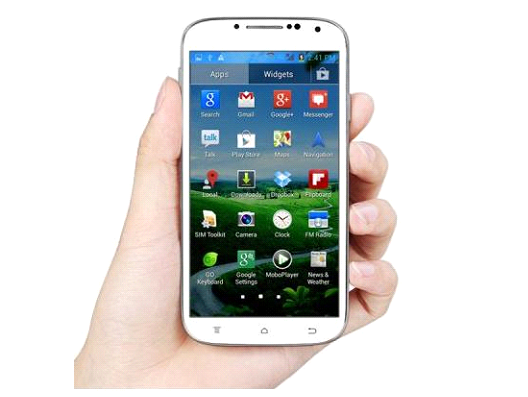 The reports about Galaxy S4 seem quite legit – expected to be launched in May – and if the specifications are as striking as being talked about, then this smartphone is surely going to take over the Android world in 2013. Core Chip: Galaxy S4 will bring you a powerful machine with its ARM’s A15 architecture, which will enable the user to perform all their resource-intensive activities. Keeping its tradition alive, Samsung will be getting faster and techier by adding OCTO-core chip to the new machine. In order to make the functioning smoother, yet faster, the eight cores would be divided into two groups; A15-spec will be used for intense and high speed stuff, while A7 will function when the user requires low power to work. Operating System: Samsung is being quite adventurous with its unique operating system called Tizen, which will serve as a blueprint for other phones to come. The innovation in its operating system will make it a strong contender against the Android phone to be launched by Google called Key Lime Pie. Chances are Google will use Jelly Bean operating system in its upcoming mobile – which is susceptible to Android spyware – giving you a chance to experience cutting edge technology in May. 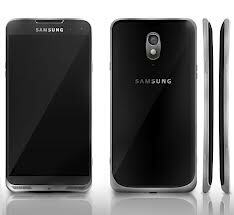 Battery: We are expecting something more with S4, keeping view 1,650mAh battery in Galaxy S2 and 2.100mAh in S3. Although the battery with this power can be used for a day, but for heavy use we recommend the battery should be around 3,000mAh, which is quite possible if compared with Motorola’s RAZR Maxx 3,300mAh battery size. Camera: I am sure you must have had a great time with Samsung Galaxy S3’s 8MP camera and now you must be looking forward for a much needed upgrade in the next phone. With increase in every specification of the phone, we are hoping the camera for Galaxy S4 would not be anything less than 10MP. When compared with Sony Xperia Z’s 13MP (coming up phone) camera, this looks like a fair deal. Another phone which may give competition to Samsung with its camera is Nokia Lumia. The new phone in series, Nokia Lumia 940 is likely to have a better and improved camera than 8MP in Nokia Lumia 920. Design: It’s the cover of the book that makes up the readers’ minds to pick and read it (well, most of the times). Similarly, design talks volumes about the purchase and demand of the phone, particularly a high-tech phone like Samsung Galaxy S4. Therefore, having a plastic cover for this handset would compromise the look of the phone and end up affecting the demand. So, suggestion is that a glass design would take the new phone long way – something that was missed in Galaxy S3. Is the jQuery datepicker a windows widget? I agree with you Mubashir. I do like S2 and S3 but S4 seems good. Nice review about the upcoming smartphone from Samsung. This has some great features which are unpredictable like the Wireless charging. Im not sure whether its true or not. Lets us wait for its release soon in the market. Hi Shathyan – Welcome to blog.